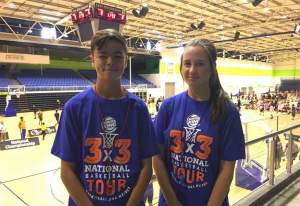 Mission Heights Junior College has enjoyed a strong start to Day 2 of the 2016 Secondary Schools 3X3 National Slam at The Trusts Arena, Waitakere. The event attracts some of the strongest ‘sharp-shooting’ athletes from around the country. Scroll down for some clips of our MHJC players in action….